Word-of-mouth referrals are a powerful and effective means of generating new business in a variety of industries and settings. Generating new business through referrals works well because consumers prefer to buy from trusted sources. A referral from a friend, family member or business acquaintance can speed the process of generating a new sale. However, the difficulty in generating referral business is making sure that people who make a referral are able to quickly and efficiently connect the merchant with the prospect. Once the referral is made, it is important to track whether or not the merchant has made contact with the prospect and whether or not the outcome of the referral was successful. Referron (www.referron.com) has developed an online, app-based process for connecting businesses and prospects through trusted referrals. The app also tracks the outcomes of the referrals and allows the referrer to make sure the business has contacted the prospects. 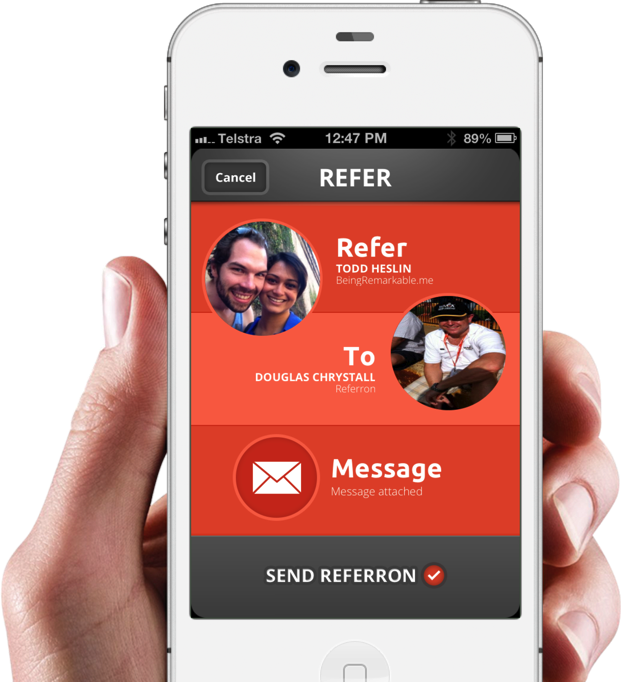 Referron also helps organizations develop reward programs for frequent referrers.